I’m on a biography kick instigated by my students, my personal reading history, and a big gift of books from Jan Burkins and Kim Yaris. These beautiful picture books are tributes to people who stood out and up when most didn’t dare. These men and women approached life their own way, as they saw fit. They faced challenges and kept going to say and do what was in their hearts and on their minds. These outstanding people are diverse. They come from all walks of life; they are pursuing differing dreams. But, there is something about each one that ties them to the other. Those connections and how each reader connects is a journey I know my students will love. This week I want to celebrate the lives of these amazing people and the gift of the storytellers, artists, and generous friends have given picture book biographies my students. “It all sta rted with a chicken who could walk backwards and forwards.” So begins The King of the Birds by Acree Graham Macam and pictures by Natalie Nelson tells the story of the young Flannery O’Connor. Her passion for more, persistence, and belief in her own ideas shows through in this tale of a little girl who grows up to be a life-long bird lover and writer who wrote honestly, no hold’s barred, about what she saw and thought. Dorothea “… wants to show the world what she sees.” She saw things others couldn’t, things others missed. Dorothea’s Eyes by Barb Rosenstock and illustrated by Gerard DuBois shares Lange’s life. Through her challenges, (polio, her parents’ divorce, and loneliness) to her calling as a photographer in a time when women did not do such things. Dorothea’s Eyes discover the world. Once the stock market crashed and depression hit, she took to the road, documenting what she saw. She helped the country notice people who were not seen, the jobless, the hungry, the sick, during a difficult time in our nation’s history. Nothing but trouble. That’s what everyone said about Althea Gibson. But she didn’t care what they said. She had so much energy and ability there was no way she wasn’t gonna be somebody. Nothing but Trouble, The Story of Althea Gibson by Sue Stauffacher, illustrated by Greg Couch takes readers from her tomboy antics in Harlem to Wimbledon champion. Her talents got her noticed and people stood up for her. Dedicated to mentors everywhere, this book is a great tribute to a talented and driven female athlete and those who helped her along the way. While Dorothea’s Eyes led her to greatnes s, John Coltrane was all ears. Before John was a Jazz Giant by Carole Boston Weatherford, illustrated by Sean Qualls is a feast of images and words, “he heard hambones knocking in Grandma’s pot, Daddy strumming the ukulele,… he heard Grandpa’s Sunday sermons, Mama playing hymns…” This beautiful book highlight Coltrane’s early influences and influencers that fed his musical gifts. I too k those bright colors for granted. But before Bob and Joe Switzer, they did not exist. The Day-Glo Brothers by Chris Barton, illustrated by Tony Persiani is all about the invention and marketing of colors that glow in the daytime. The book tracks the brothers’ unplanned success in creating and marketing colors that glow in daylight. Beatrix Potter and Her Paint Box by David McPhail traces Potters early years painting the animals around her. Her wealthy parents gave her art lessons, but she refused to change her style which would become the drawings for the “little books for little hands” that are still famous today. Whoosh! Lonnie Johnson’s Super Soaking Stream of Inventions by Chris Barto n and illustrated by Don Tate is a tale of the spirit of invention and inventors. Lonnie was one of those kids and is one of those adults, who is driven by creation and wonderment. Growing up in Mobile, Alabama he was always building and designing. He studied became an engineer, worked for NASA and all the while he was still at work in his own workshop inventing. The Super Soaker water gun was one of those inventions that every kid will recognize. The coolest thing about Lonnie is he is still busy working, solving problems and inventing. The Nerdy Book Club’s recent post offers other biographies and nonfiction titles you can find here. Our children are lucky. We are lucky. Biographies engage on so many levels. They can be read as a story or as an invitation into the world of art, science, or athletics. This week I celebrate the joy of nonfiction picture books. Thank you, Ruth, for having a place to celebrate weekly. Find more celebrations on her blog Discover, Play, Build. Goodness gracious! Thank you! Your post is a gift. They are all new to me and I so look forward to reading them! Thank you for celebrating such wonderful books. Some I have; some are new to me, and I must add them to my shopping cart! I love biographies, prefer them over fiction. I’ve always enjoyed sharing them with students, giving them heroes to “inspire living.” Happy New Year to you and yours! What a wonderful gift of books! Your students are going to love these. It makes me happy that so many biographies are being written. Students today may not know how lucky they are to have these beautiful biographies available, but we teachers recognize what a treasure they are. The biographies I devoured way back when in elementary school seem so boring in comparison. I would have been an even more voracious reader if I’d had these! Thank you for sharing so many new titles. Happy New Year I enjoy learning along with you. Wow! So many new titles to me. What a wonderful gift. Thank you so much for sharing. What a treasure trove of books. I want to come check out your library! WOW! Thank you for sharing these books with me. Many authors are familiar, but the titles are new to me. I can’t wait to check these out. Thank yOU! Happy New Year! What a marvelous job you’ve done curating this list, Julieanne – thank you! I haven’t read any of these! Thanks for the suggestions. Thank you for introducing these biographies. It’s a lovely gift. Happy New Reading and Writing Year! So many great biographies! 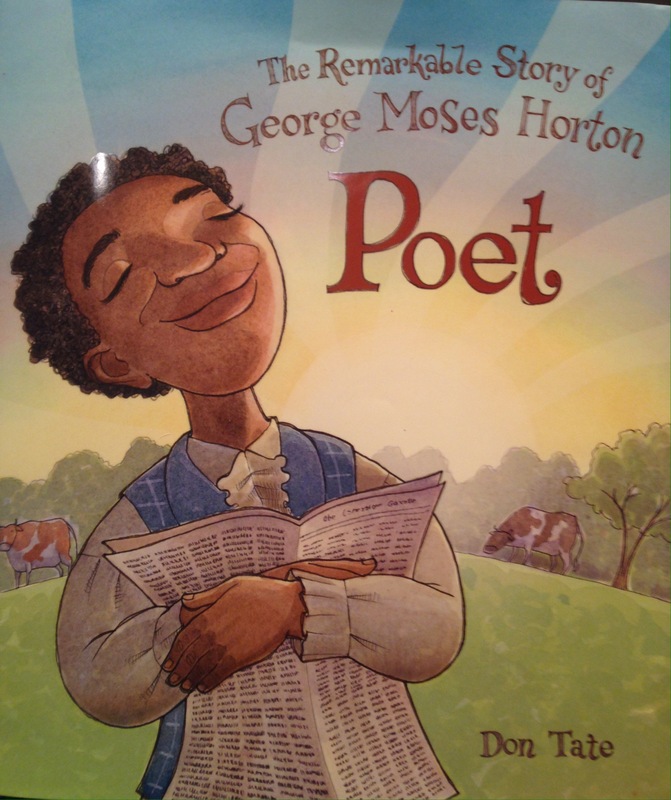 I love how picture book biographies make these powerful stories accessible for our youngest ones. You know what ‘they’ say about the stories you don’t find in the world…Maybe it’s time to write that picture book!